Choosing novels and other readings for a new class might well be a favorite task of language arts teachers. There are so many great choices, and it’s pleasant to imagine your students responding to a book or story that you have enjoyed. But organizing those readings for the year can easily become a least-favorite task. It’s just so complicated with everything that you need to take into consideration. Just selecting books is difficult enough. Which books will work best with this particular class? 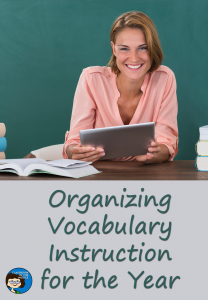 With some of the texts,the vocabulary may be too difficult, with others – too easy. Some stories are preferred by boys, some by girls. Some feature one particular demographic, some another. There may even be censorship concerns; will you run into objections if you include this book or that one? 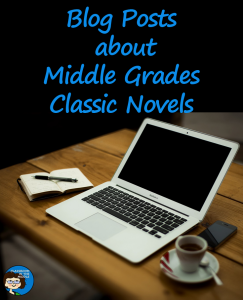 Do you think it’s important to include certain classics, expose kids to newer literature, both? Maybe you need stories that will work well with certain skills you need to cover. I suppose it all depends on your goals as a teacher. If you’re plans for the year depend on incorporating writing, vocabulary, and most everything else into your reading units, choosing readings that work with particular skills at particular times of the year may be most important. Or maybe pairing fiction with non-fiction is something you do all year long. 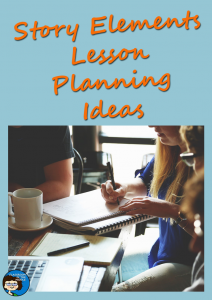 In that case, you might choose books with seasonal topics or topics that relate to what your students are learning in other classes such as history or science. Is just getting your kids to read more your main concern? Maybe you’ll lean toward high-interest topics that are especially relevant to your kids own lives. Trying to do all of those things at once? Oh, my! Welcome to the world of language arts teaching! 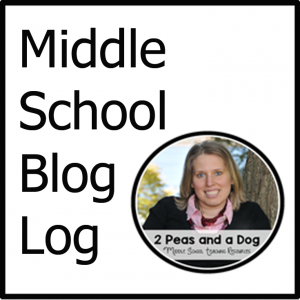 Themes – Each unit of study is centered around one theme such as courage, family, or nature. 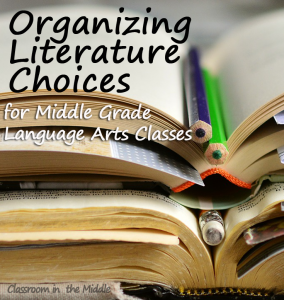 If the centerpiece of your unit is a novel, related short stories, biographies, or news articles can give additional perspectives on that same theme. 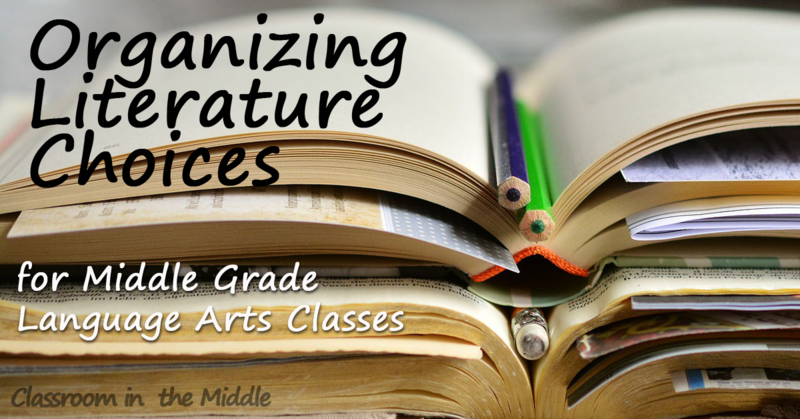 Genres – Novels of various genres, such as realistic fiction, fantasy, and historical fiction, will show your students the range of novels that is available for them to read. Poetry might be taught as a separate unit, as well as units on other types of writing such as speeches and news articles. 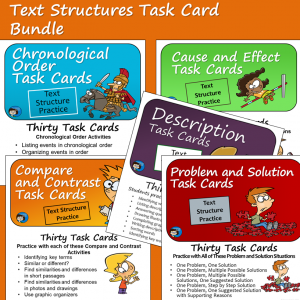 Skills First – You’ll need a good unit to teach story elements, one to teach text features, one that focuses on research, and so on, and so on. Once you’ve got a basic outline of what readings you’d like to use, it’s time to narrow down the focus and start fitting specific skills into place. Now, we’re thinking about specific lesson-planning questions – can you find good vocabulary in a certain story for teaching Latin and Greek roots? does this unit have readings with some really good examples of personification? Sometimes, it fits together perfectly. If you’re reading Dear Mr. Henshaw, and teaching letter writing, you’ll have smooth sailing. Sometimes you have to search a little harder to find good mentor passages in the text you’ve chosen. 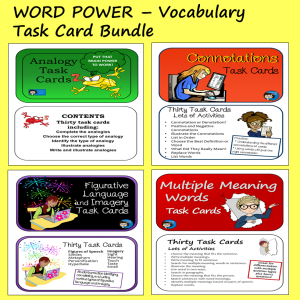 But, just as we have so many great readings to choose from, any great reading will have many examples of specific writing and vocabulary elements. Luckily, language arts teachers know how to search them out.